Memorial Church’s staff singers offer a fun afternoon of treats for the ears and the palate. Come and enjoy songs of love (with a “moon and stars” theme) and a delicious array of good things to eat! 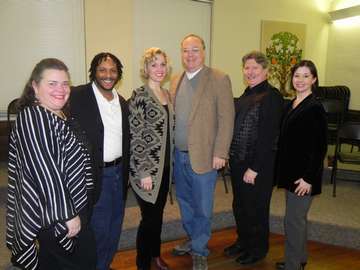 This year’s vocal artists are sopranos Suzanne Grogan, Sheena Law-Killinger and Carol Ambrogio Wood; mezzo-soprano Diane Schoff; tenors Michael Fowler and John O’Brien; and baritone Ken Shepherd. They will entertain you with music by classical composers as well as favorites from Broadway and movies. And delight you with some songs to tickle your funny bone!